It´s not just the stunning view, there are also other aspects I associate with Schwerin castle. This beaut is used in a formal and an informal way concurrently. On the one hand, you can visit the castle as the seat of the Landtag of Mecklenburg-Western Pomerania where politicians legislate day by day. On the other hand, you can just enjoy the castle island at its divine location, among the nature, embedded in Schwerin´s gorgeous lakescape. Of course, you can attend a guided tour through the castle and the attached gardens. To be honest, I feel ashamed because in almost 26 years I just haven´t been able managed somehow to do so. I am sure that this would be a great opportunity to learn more about its history, architecture, and traditions. Maybe in this context I would get to the bottom of the reason for the never-ending reconstruction phase. Only rarely will you find a lucky moment to see this magnificent building without scaffolding. There are so many things to explore upon the castle island: You can have a cup of coffee at the orangery, gaze at the castellated façade, feel like a duke walking down the stairs with long steps, lose yourself inside the grotto, and fall in love and spread kisses at the island of love. This tiny island aside the castle garden, called the ´Liebesinsel´ is reachable across a small wooden bridge. Here, you are separate from all the other tourists. People say if a couple exchange a kiss at this place, they will stay together forever and ever. This could have disastrous consequences however I like the sappy imagination. At the island of love, several frogs have turned into princes and the dreams of many women have come true. So, the fairytale castle is a nice host for marriage proposals as well as weddings itself. Six years ago, my own mother married in the orangery of the castle. With her gorgeous bridal dress, she strode down the broad, royal stairs. When I think of this moment, my eyes still begin filling with tears. But it´s also possible to have a church wedding inside the castle. The small castle church, located on the north side of the castle island which impresses with a golden star-sprinkled ceiling and a wonderful interior is a romantic opportunity to exchange vows. It´s definitely a hotspot for wedding ceremonies. Bridal couples love to spend the most beautiful day of their life in such heavenly special, gorgeous, and extraordinary setting. When those ceremonies take place, there is a special adorable magic in the air. I mean, who can claim that their wedding photos are decorated with a real castle. 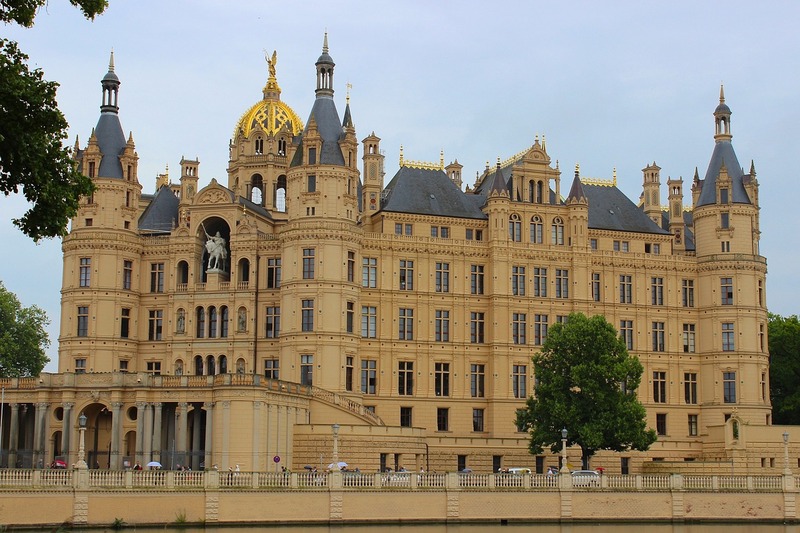 People say Schwerin´s Castle is akin to the Chambord Castle at the riverside of the Loire in France. 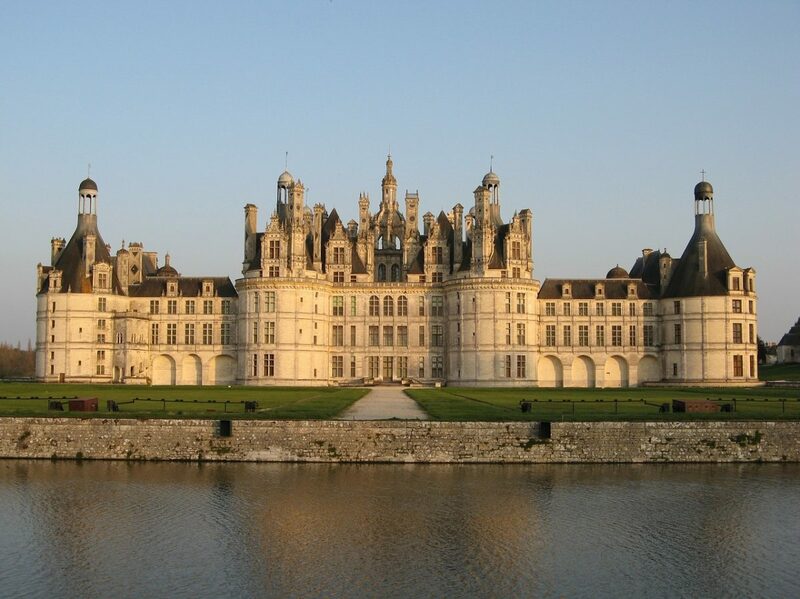 I have never seen this castle in real life but having seen online photos I guess that both have a comparable welcoming, magical atmosphere, captivated by a wondrous surrounding. 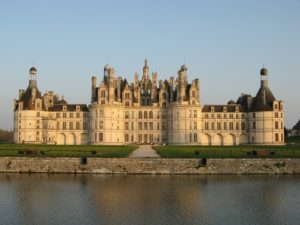 The French castle may be more overwhelming to its architecture being more massive and less dainty than Schwerin´s, but especially because of its grace, located on just an island, Schwerin is impossible to imagine without it. This entry was posted in News, Travel Activities. Bookmark the permalink.